Within the space of an extended opening-credits sequence, we are shown Superman in small, bite-size clips. I can imagine this is merely a contextual issue as audiences had not seen the film since 1978 – something completely different to this “cinema-to-DVD within six-months” world we live in now. But harking back to the previous film and then ignoring the top-billed actor is never going to go unnoticed. The film consequently moves to Paris to set-up a convoluted story whereby terrorists (amongst them a young Richard Griffiths) threaten to set-off a nuclear bomb from the Eiffel Tower – and Lois Lane simply “happens” to be covering the story. This nuclear bomb, when thrown into space, is the catalyst that sets free Ursa, Non and General Zod from the sheet of glass they were trapped inside at the beginning of Superman. Despite a four-star review from Roger Ebert, Superman II seems equally bogged down with the problem of Superman. A brilliant concept in forcing Superman to lose his powers – something his Mother tells him is “irreversible”. Suffice to say, it is reversible and Superman manages to save the day simply enough. Who would under-use Gene Hackman? As noted earlier, all of Gene Hackmans scenes were products of Richard Donner’s original footage from the aborted back-to-back creation of both films – but funnily enough, Gene Hackman remains top-billed despite his lack of participation under Lester’s direction. The story is clearly about Superman defeating the three escapees Ursa, Non and Zod – Lex Luthor is merely a side-kick or, dare I say it, henchman to the three villains. Hardly the top-billed role. Or maybe Terence Stamp manages to out-act Gene Hackman? The ‘campy’ attributes of Lex and his sidekicks often jarred and portrayed Luthor in a manner that undermined his intelligence. He seemed to tell us how clever he was, but in comparison to General Zod, he is only someone simply after a quick-buck. (Maybe that is the point. Superman representing the decent American against Lex Luthor representing the corporate money-obsessed American) In contrast, General Zod has the presence and power to demand others to “Kneel before Zod” and, shockingly, we witness the President of the US kneel down before him. 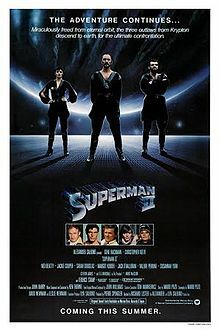 Considering Bryan Singer would go onto direct Superman Returns, the break-in at the White House in Superman II must be a source of reference when writing and filming X2. 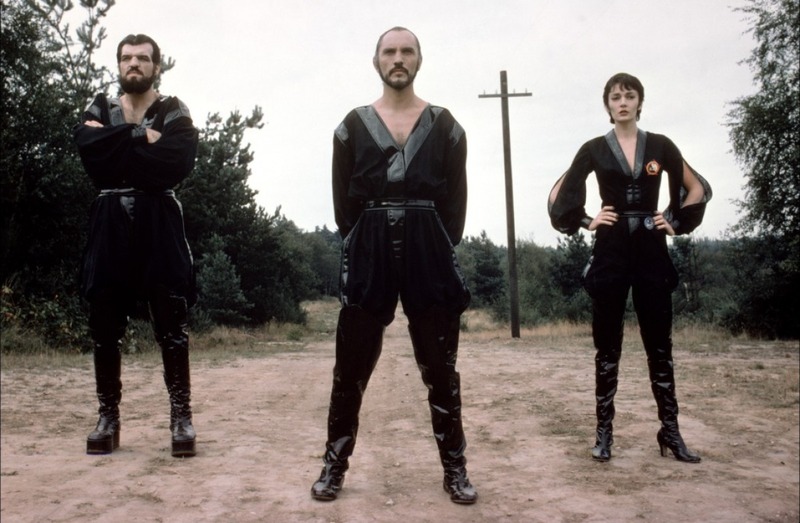 Is General Zod the true threat to America? The power-obsessed dictator? This is a flawed sequel. 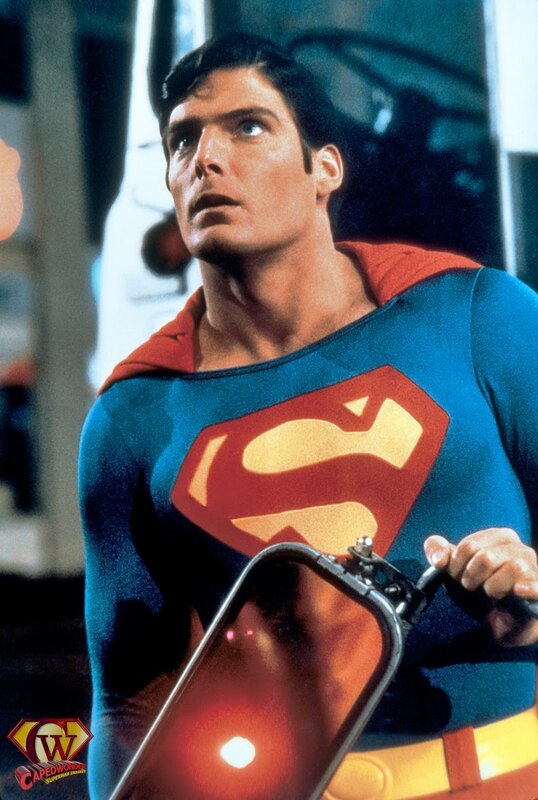 Akin to Superman, Christopher Reeve remains the driving force towards anything credible. General Zod seems to be awkwardly shoe-horned into a plot whereby Superman fights his own demons and desires to be human – but this theme is not weaved into the various other strands in the story. We have come a long way since 1980 and it is clear that Superman II was only beginning to understand what audiences expect from a tent-pole comic-book film. Moments as Superman loses his powers are brutal and heart-breaking but these are undermined as he quickly regains the powers he lost. I adore the characters and thoroughly appreciate the intentions but it is too much of a mixed bag to truly enjoy. As a comic-book film, the genre is in its infancy – and the flawed production, again, destroys any chance of fluidity in the narrative. And then, afterwards, he plants the Super-Kiss whereby he can eras Lois’ memory completely. So, after all that … we’re back to square one.